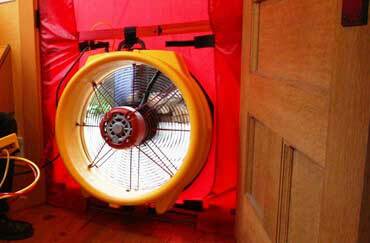 Air tightness testing can be a very tricky business for anyone during a construction project. Essentially air leakages found in new buildings can contribute to increased fuel consumption, which can result in higher energy bills. This is why the Building Regulations/ Standards requires all new buildings to have an air tightness rating, without which, a Building Control officer or Verifier will not provide that all important completion certificate. Air tightness testing, also referred to as air pressure testing, is used to determine the amount of uncontrolled air leakage through gaps and cracks within the building. These gaps and cracks are not easily detected through a visual inspection; therefore a pressure test is carried out to measure the air leakage of the entire building. Do I need Air Tightness Testing? An air tightness test is required by Building Regulations/Standards after construction of a new building (commercial or residential). 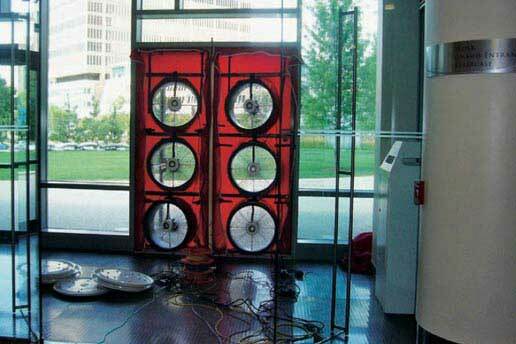 The results of this air pressure test are used within energy efficiency calculations (SAP or SBEM). There are of course some exemptions that apply for air tightness in dwellings and in commercial buildings, which are detailed within the technical booklets/approved documents. We can provide Air Tightness Tests for new build houses, to help you comply with the Building Regulations/Standards. We can also provide these within any SAP Calculations you require. We can provide Air Tightness Tests for commercial buildings, to help you comply with Building Regulations/Standards. We can also provide these within any SBEM Calculations you require. What can Elmhurst Energy Consultancy do for me? We subcontract our Air-Tightness service to fully qualified and professional Air Testers accredited with the Independent AirTightness Testing Scheme (iATS). Members of the iATS scheme have the skills and knowledge to undertake air tightness tests for small dwellings as well as high-rise buildings, and will help to ensure compliance with Building Regulations. We can also provide this service within a package of SAP or SBEM calculations which are also mandatory requirements for new buildings. Our aim is to provide quality support for you throughout the entire testing process. Office based technical advice for air tightness testing and all energy related activities such as SAP and SBEM. A thorough inspection of units will take place before air tightness tests to highlight any potential problems prior to testing. Holistic management – developing air tightness programme for required units, liaison with building control and dealing directly with site team on dates of tests. Review of problems and air leakage points with advice on how to resolve issues. and discuss your project with us, there’s no obligation and we’re happy to advise you.